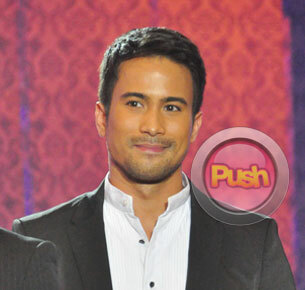 Sam Milby shares that keeping a positive mindset has helped him be better at his craft and enjoy life at the same time. If there’s anything that Sam Milby has learned about life, it’s the fact that it only becomes complicated if you tend to overanalyze things. He shared that he had a harder time dealing with his personal affairs because he’s too introspective. “Life is simple but we choose it to make it complicated. Twineet ko yun (quote by Confucius) kasi feeling ko ginagawa kong complicated yung buhay ko kahit hindi dapat. Ako yung tipong thinker ako, I overanalyze too much. I’m like, ‘Shoot, mali ba ginawa ko? Baka magkamali ako?’ It’s more like, stop thinking too much, just go with the ride. This is the life, enjoy it. Kasi if you think too much, you don’t get to enjoy life enough. I think that’s the problem that I’ve always had. But I’m getting better at it,” he said during a heart-to-heart talk with Push.com.ph. The Rockoustic heartthrob also looked back on his childhood and how he used to have stage fright whenever he performed on stage. As it is, he had his share of insecurities during his teenage years. He was home-schooled from ages nine to 14 and had a difficult time making friends when he entered high school. “I still have that tendency to think too much. Buong buhay ko mahiyain ako. Ako yung tipong hindi ko kaya humarap sa maraming tao para mag-perform dahil sa stage fright. But lately, I enjoy performing. I never thought that I would actually be very comfortable with it. You could tell and that’s what a lot of my friends tell me. Kitang-kita na hindi ako kumportable sa stage. But I’m happy that I’m learning to enjoy [my music]. That’s probably one stage. I’m still working on the other ones,” said Sam when asked how changing his mindset has helped him.